Courtesy of Real Estate Plus, Inc..
A prime property in a prime area! This is an estate sale that is sold in an As Is, Where Is condition, with no available seller disclosure. Sale is subject to a Court-Approved Testamentary letter, which may delay contract execution. More information is available on the attached Agent Disclosure Addendum. Very spacious interior with the actual fixtures not agreeing with the tax records. A great opportunity for extended family, mother-in-law suite, ADU, etc. Close to UH, Shopping, Bus, Bank, Restaurants, etc. Make your offer! 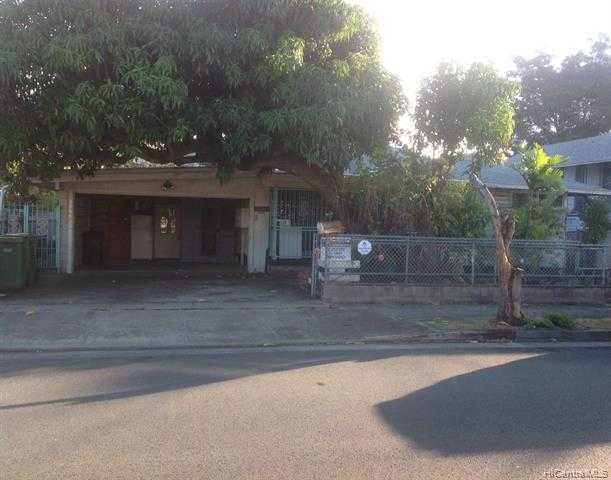 Please, send me more information on this property: MLS# 201904109 – $988,000 – 2464 Bingham Street, Honolulu, HI 96826.